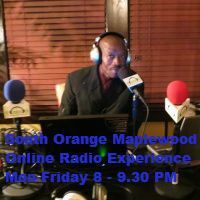 Listen to South Orange Maplewood Online Radio Experience every Monday through Friday from 8 - 9.30 PM for all you news, politics, talk and sports in SOM. The Community Radio Station WZYE-LP 95.9 is listener supporter and dedicated to inspiring our listeners through our expert programming and music. We understand our diverse listeners and the world we live in which have a desire to be empowered and uplifted.